It’s funny, but the second spring hits, the first thing on my mind is the outside. And what I mean by that is a home’s exterior. 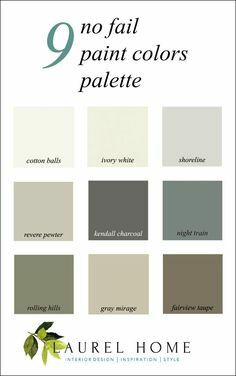 And true to form, last year mid-April, I did a post about some of the best paint colors for exteriors. But what if a home’s exterior is plain and boring or just plain ugly? Well, who doesn’t love a really great before and after? And I’ll always be grateful to the fabulous Nancy Keyes for sending me her old home in Atlanta to post that before and after home renovation that went viral on Pinterest! In blogging terms, that’s like your slot machine pouring out hundred-dollar bills. But, if you don’t remember the house or want to see it again, you can find it here. So, what I’ve done is comb the internet for the best exterior home makeovers! I also found some that looked better before; however, I’d rather focus on the exceptional than the fails. But before we get into the spectacular exterior home renovations, let’s talk a little about what can go wrong in an exterior makeover. Not taking into consideration the basic architectural style of the home. In other words, it’s going to be very difficult to take a mid-century modern and turn it into a 19th century Victorian. Right? Not thinking about location. Or, the other homes in the neighborhood or area. Proportions. Really important. I saw one home where the second floor windows were considerably larger than the first floor windows and it looks strange. These Exterior Home Makeovers are going to run the gamut. That is, from fairly simple, meaning mostly just paint, to extensive exterior renovations. This sure looks it had to be a tear-down to me, but they say no. In any case, I think that they got it right. 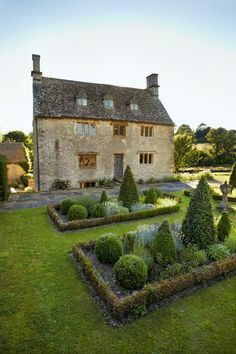 Well, they took a waif of a house and turned it into a country lass of high breeding! And brilliant move, moving the door to the center. What’s interesting, is that they could’ve gone with a painted door. Red is a common one for a home of this style. And the railing could’ve been all wrought iron, but this is very lovely, I think. I don’t always ask permission, but when it’s a graphic that someone made and especially their own home, I think it’s the right thing to do. The owner of this home, a darling young blogger, Amy gave me permission. Please check out her beautiful blog, The Blissful Bee where you can read all about how she did this beautiful transformation. By the way, the bottom image was photo-shopped before she went ahead. And the real-life results look exactly the same! But quite frankly, the before is so dark and foreboding, that lightening it up is like eating a large slice of banana cream pie immediately after a great massage. I chose this one via BHG because it caused my eyes to pop out of my head. Hard to believe that it’s the same home. Same here. It looks like it’s been this way for 200 years. Love the parged brick. You can read more about parged brick here. And the landscaping is divine! In fact, for a lot of these homes, it’s part of what makes the home so special. This is another one by Magnolia Home. The only part I’m not totally crazy about is the front door, but I don’t hate it either. I think that it’s a little ersatz. We discussed ersatz country-French doors in this post. Although this is far more authentic looking. But, the rest of the house says neo-classical. Still, I love the house and think they did an awesome job! My favorite part is the floor to ceiling windows. So glad they got rid of the arches. This solution is incredibly elegant. But… I think I would’ve loved to have seen the balcony remain. I love this home below. I think they turned that bow-wow of a house into a chic, sophisticated home. And that takes a lot of talent and vision, in this case, especially. I don’t get yellow and brown. I mean I get it, but in a doggie poo kind of way. Love that they painted this New Orleans classic beauty all white. It’s like a freshly pressed linen shirt and pearls. But the gardens out front are killer! This is Martha Stewart’s former home, Turkey Hill In Westport, CT over the years. Everything she touches she turns into pure magic. I’ve always thought so. Her taking off the shutters inspired me to do the same for this antique home we did 18 years ago! It’s only about 3 miles from Martha’s Katonah home. Same school district. A proper London Row house via House and Garden UK, that sorely lost its way. But they rescued it and brought it back to life! What really cracks me up is that they actually painted half of the pilaster in that gross dog-pee yellow. They should’ve at least painted the door frame/pilaster the same as the neighbor’s. The window trim is white, so what gives? Maybe they were drunk? That must be it. But the exterior restoration is gorgeous and the bay window had to have always been there? But it wasn’t, apparently. And I love this gorgeous coastal home. The before, I would’ve driven right past it, but the after is as fresh as an ocean breeze can be. Hope that you guys enjoyed this. Oh, and the bedroom reno is under way!!! More about that soon. 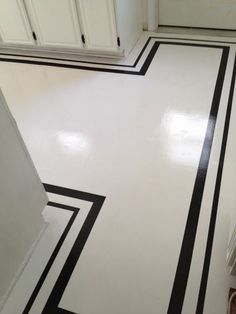 Could someone give me a hand with my white paint color? Just kidding. Seeing these pics and the ones on the Martha Stewart Katonah link, begs a question for me: Can any home be painted all white? Seeing the different styles and periods here makes me think it’s quite possible. I’ve seen lots of painted brick over the years but the painted stone as in the ‘fabulous balcony’ photo above is different,though beautifully done. Depending on the surrounding landscape, if there were large, mature trees and lots of shrubbery, a yearly pressure wash may be necessary to keep the white paint looking clean (southern CA) with seasonal winds, wildfires and the occasional, torrential rain – ha. I love exterior makeovers and that is something we don’t get as much of as from other parts of the house. I really loved this post! Hope you can have the time to deliver some more. We always comment at home how wonderfully landscaped and finished are all Magnolia homes. They really do have a special touch for them. And the detail of planting a Magnolia tree in each one of their projects is something I love. There are some other companies that pay little or no attention to landscaping, maybe the owners don’t care that much? What is true, is that the WOW effect when you are showing a renovation the way the Gaines do, this makes the whole experience way better. Love you for sharing such priceless posts and advice for us to enjoy. Oh, and I want to copy our Amy, I’d grab a plane just to go and give you a hand if needed. Trust me, I would love to! Oh my, the second one, from Chris meets Julia – I hate to think what it cost to adjust the roof so it gabled across the front and not at the ends! Maybe it’s in the perfect location? Whatever, it looks so lovely, I think everyone should just do that with their fugly thrubungs (our pet name for generic 3-bedroom bungalows). My powers of visualization based on descriptions is very dim. It sounds like you might need an architect, particularly for an old house. But again, I really don’t know. THANK YOU LAUREL!!! have to say, my favorite post. my business is landscaping design but always with an eye of “what can we do to help this house too?” not all mind you, but many. we will draw a “3D” artist rendering of what can be with both home & landscape, They SHOULD blend! your examples renewed my energy for projects to come, LOVE! Here’s the thing: I’m prit-tee prit-tee sure we’re related or the universe has tied us together, because your posts almost always eerily line up with some project I’ve been thinking (stewing) about! Here at the House of McGizzles, we are having a portico quoted and contemplating cedar shake (the real, p.i.t.a. kind), and our heads are spinning. seems. ( & thats just when I look in the mirror ). I think it’s wonderful when people have a love for something and fond memories. There are a lot of posts about mouldings. If you click this link, it’ll take you to every post that they are mentioned. Some moreso, than others, of course. This is a link for low ceilings.